Starbucks® in Malaysia is operated by Berjaya Starbucks Coffee Company Sdn Bhd., a licensee of Starbucks Coffee International. From its first store opening in Kuala Lumpur on 17 December 1998, Starbucks has expanded nationwide and has currently more than 275 stores throughout Malaysia. Now at our 20th year of operations, Starbucks has grown not only to become the favorite coffee place for Malaysians but also a productive member of communities across the country. Starbucks Malaysia continues to be recognized for its outstanding training and development programs through awards such as ‘Investment in People’ at the Asia Responsible Enterprise Awards 2018 (AREA 2018), and ‘Top Companies to Work for in Asia’ at the Asia Corporate Excellence and Sustainability awards in 2017. This is a testament the continuous enrichment Starbucks provides through its training and education programmes, such as the Coffee Master certification program, which acknowledges the proficiency and skill in all things coffee. Starbucks also offers a unique retail experience through its Starbucks Reserve stores that is aimed at providing customers the opportunity to explore the fine craft of coffee and enjoy some of the world’s rarest and most exotic small lot coffees. In 2016, Starbucks also launched the World’s first Starbucks Signing Store in Malaysia, which aims to cultivate a culture of empowerment for the deaf community and provide job opportunities, as well as the chance to develop their soft skills thus giving them a sense of pride and accomplishment to move forward in leading a functional and fulfilling life. Aside from achieving extraordinary coffee experiences, Starbucks has made a business out of human connections, community involvement and the celebration of diversity. 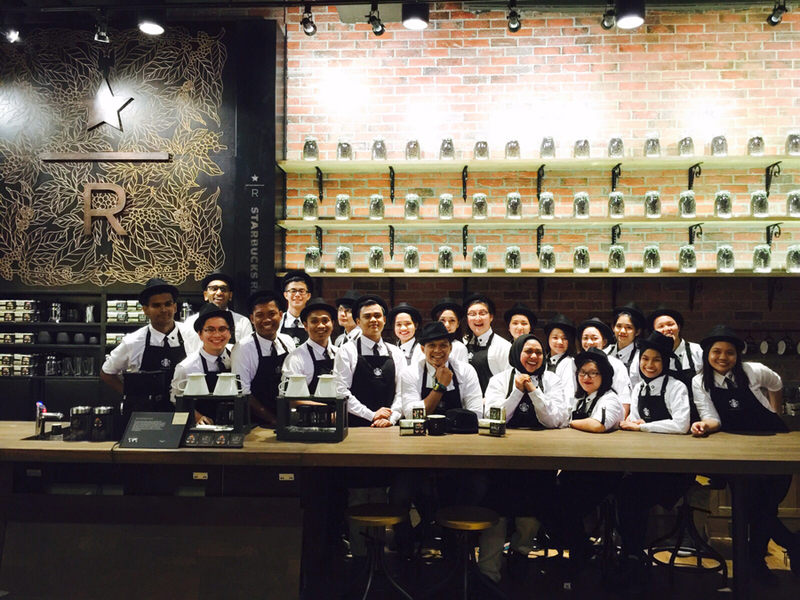 In 2018, Starbucks in Malaysia joined the English Movement to enhance English proficiency amongst its partners (employees), to further develop their communication skills and enabling them to effectively interact with their customers. It is the inclusion of these diverse experiences and perspectives that help create a culture of empowerment at Starbucks, one that fosters innovation, economic growth and new ideas. Do you Want to Bring the English Movement to your Company?